Katy Perry (born Katheryn Elizabeth Hudson on 25 October 1984 in Santa Barbara, California), is an American pop singer. Katy Perry's music singles include, I Kissed a Girl, Hot n Cold, and Teenage Dream. Katy lauched her own fragrance called Purr in November 2010. Katy Perry is a spokesmodel for Proactive, CoverGirl (signed 2013), and has a line of OPI nail polish created after her. She was the face of the H&M Holiday 2015 campaign. 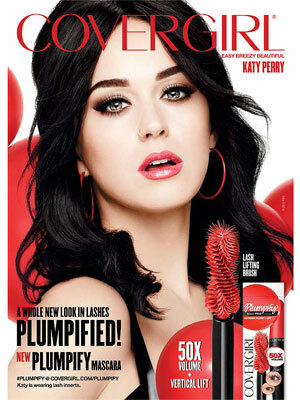 Check out Katy Perry's Magazine Covers and CoverGirl Ads.